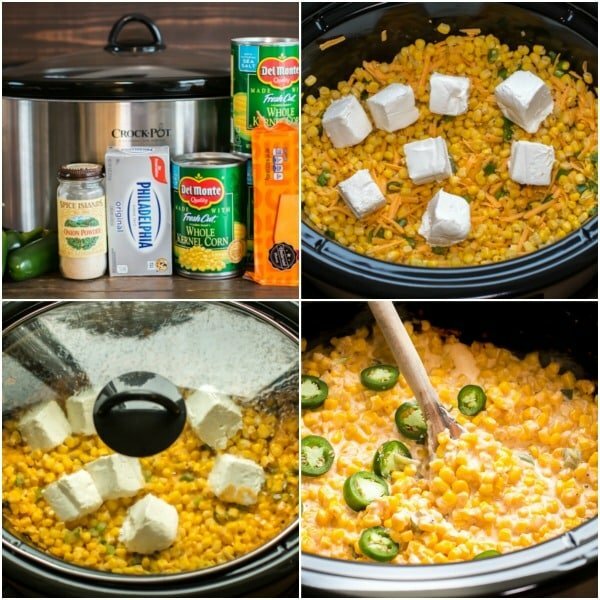 Slow Cooker Cheesy Jalapeno Corn is a spicy side dish that would be good with just about anything! I have to admit that I am guilty of making the saddest side dishes. My go to side dishes (even for guests) are steamed green veggies or corn warmed on the stove top with a bit of butter stirred in. This recipe will up my side dish game. This is a perfect side dish for a southern main dishes like fried chicken, a barbecue brisket or even better with a slow cooker pulled pork! Below are all the ingredients need to make this easy side. 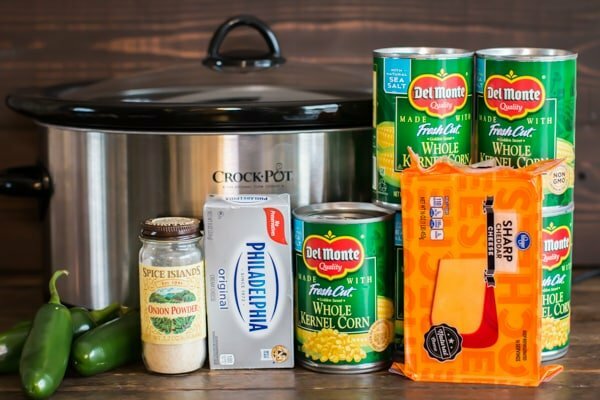 I chose canned corn for this recipe. I like the canned corn over frozen, sometimes frozen corn can be mealy, with the canned corn I know it will have a consistent good texture. 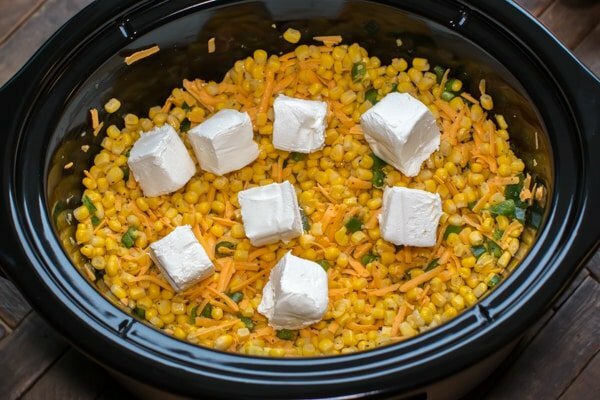 I mix the corn, cheese, jalapeño and seasoning together first in the slow cooker. Then I slice the cream cheese into cubes and place them on top. I leave the cream cheese on top and don’t mix it in until after the cooking time is done. Leaving the cream cheese on top like this during the cooking time will give it a chance to melt, then it will stir into the cheese and corn and make a creamy sauce very easily. Here is what the corn looks like after being cook and stirred. 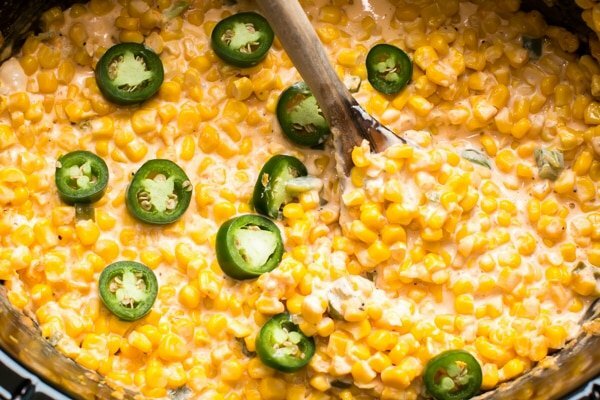 It has a creamy spicy sauce and the corn still has bite to it. Here is my video about how to make this spicy side dish. You can follow me on YouTube here. 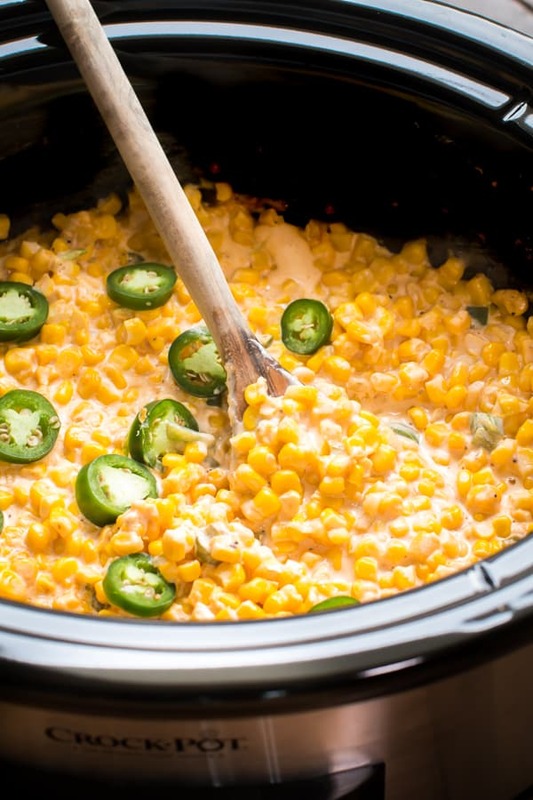 What would you serve this Slow Cooker Cheesy Jalapeno Corn with? I hope you try it. Check back at the end of the week, I will have another recipe posted. 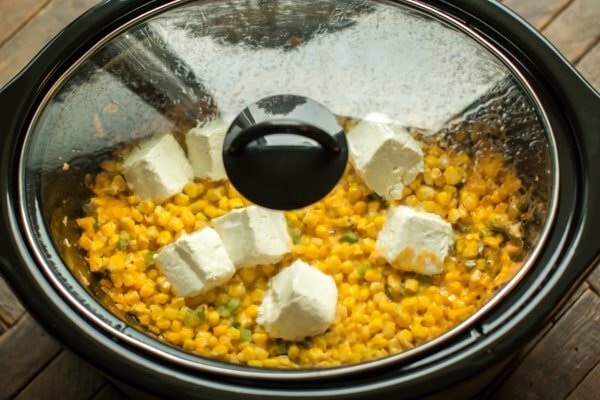 Add the drained corn to the slow cooker. Add the cheese, jalapenos, onion powder, salt and pepper. Stir. Add the cream cheese next, I used the boxed cream cheese which makes it easy to cut into cubes and put on top. When the cooking time is done, stir everything together until a creamy sauce forms. Add additional sliced jalapeno on top if desired. OMG!!! My sis-in-Law and I have been making this exact recipe for YEARS and KILLING it!!! HOWEVER…we had never added the cheddar….OMG!!! It is AWESOME!!! Thanks, Sarah!!!! I live in Atlanta and you know we love ourselves a good southern cooked meal! I’ll definitely need to make this next time I’m in the mood for southern food and I am looking for a side dish! Hmm, I’m thinking I’d put the cream cheese on top. Stir half way through the cooking time and probably add 30 mins to the cook time. Just my thoughts. i cannot wait to make this recipe. I have never cooked with fresh jalapeños… would canned work? I love the flavor but can’t do the heat. Could you use frozen corn? 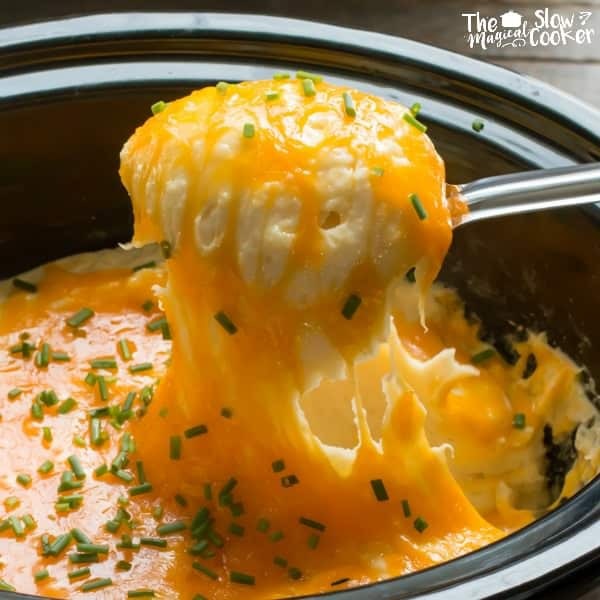 How long should you cook this recipe in a crock pot if you double the recipe? Not too much longer, probably just an half hour more.